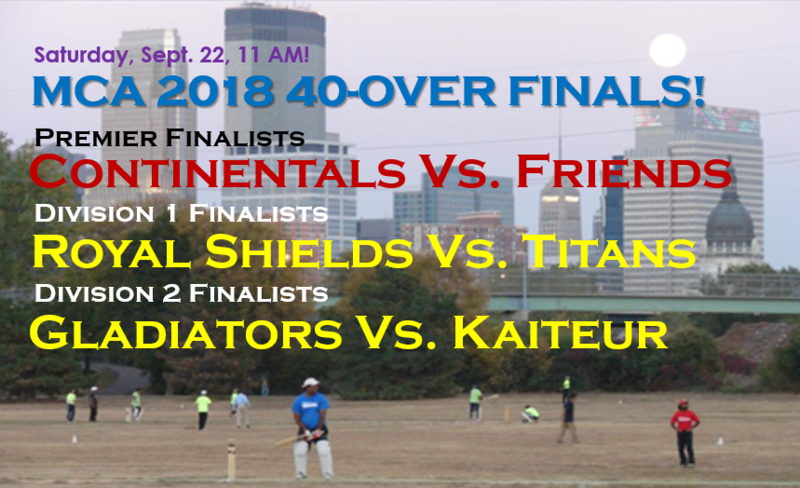 Congratulations to all MCA 40-Over Finalists! Minnesota Cricket association member’s day!! 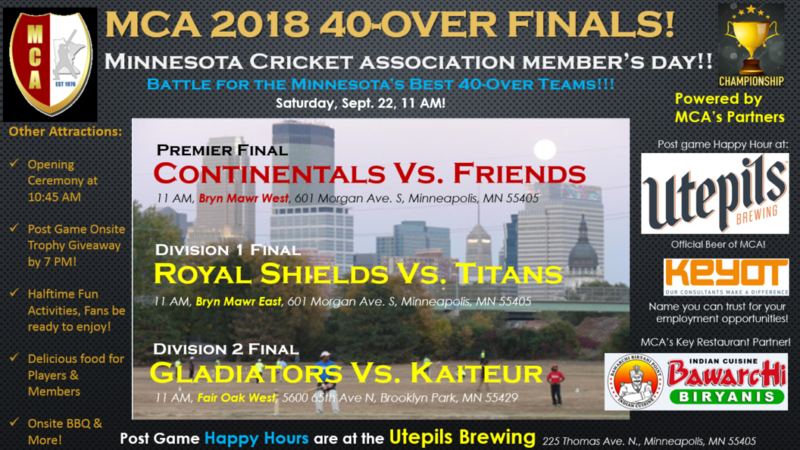 Battle for the Minnesota’s Best 40-Over Teams!!! Saturday, Sept. 22, 11 AM! Post Game Onsite Trophy Giveaway by 7 PM! Halftime Fun Activities, Fans be ready to enjoy!